A hallmark of Masonic grand lodges is the never-ending practice of reinventing the wheel when it comes to developing leadership and lodge management courses of instruction. Time after time, grand lodges seek ways to teach lodge officers about how to become better leaders, develop programs, promote them for a year or two, then forget about them, and do the whole thing all over again in about 8 or 10 years. 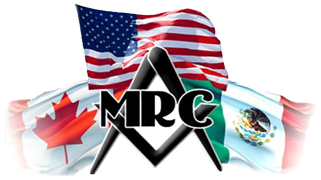 The Masonic Renewal Committee of the Conference of Grand Masters of North America has attempted to collect as many of these leadership programs online, and make them available in one place. This allows members and officers an opportunity to discover how their own jurisdiction and others across the country have handled this eternally vexing situation in the recent past. In addition to leadership programs, there are many others as well, covering awards, education and advancement, grand lodge committees, member retention and development, and secretaries' resources. To see them, CLICK HERE. The very extensive (and growing) site also has a large collection of online Masonic documents on a huge array of topics. Check out the MRC library HERE.